Editor’s note: Some of the more significant changes in workflows and data management in surveying field and office operations have come in recent years: a move to mobile, robotics, and cloud-enabled software suites. But, how has implementation played out? We offer the following case study of a forward-thinking surveying and mapping firm that has implemented the MAGNET suite as part of an ongoing modernization of hardware, software, crew configuration, and practices. The team at DC Johnson & Associates Surveying and Mapping have significantly reduced crew sizes in their San Antonio, Florida-based operation. 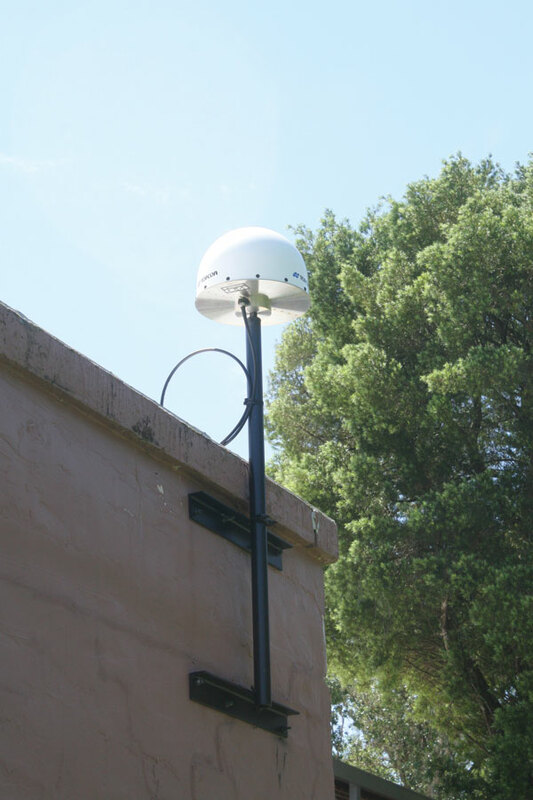 But, by combining traditional surveying principles with the latest in GNSS technology and cloud-based enterprise solutions, they are more effective, more responsive, and more valuable to their clients than at any point in their 34-year history. Getting smaller to grow bigger is working for them. 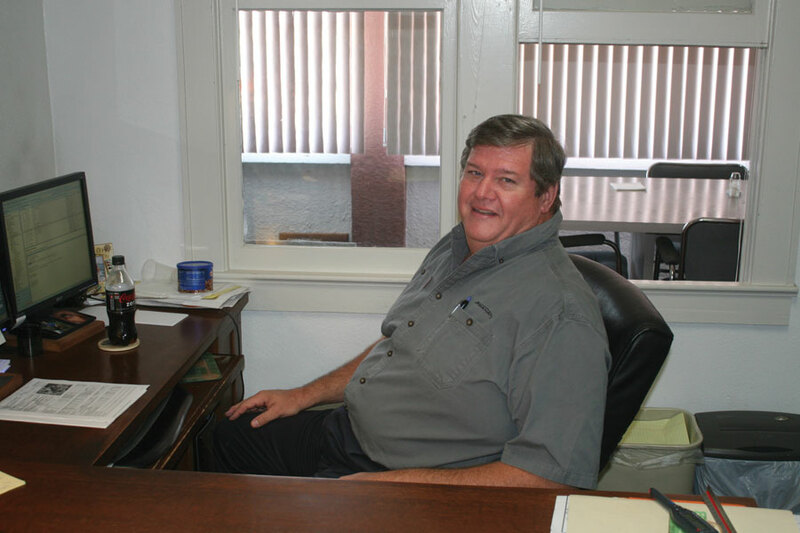 Formed by Dan Johnson in 1980, DC Johnson & Associates initially focused on providing surveying and mapping services to developers during Florida’s peak boom years. Then, when the state determined to conserve certain areas, the company was called upon to do the survey work associated with those purchases. With the prism, DC Johnson’s Topcon PS-103a total station affords them an effective range of 6000 meters with accuracies of 1.5mm+2ppm. DC Johnson has been a long-term proponent of GPS in its operation, having acquired its first base station and data collectors in 1986. “At the time, a pair of GPS receivers probably cost in the neighborhood of $45,000 to $50,000,” said Xynides. “But we saw the potential it could bring to our work and bit the bullet. 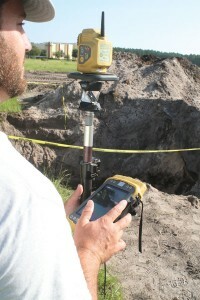 By the end of that year, every one of our crews hit the job site GPS-equipped, and things were looking pretty good. “Later, however, when we decided to expand even further and add robotics to our capabilities, we hit a major snag.” The snag was the ability to generate a shared database between the two technologies: GPS and robotics. Fast forward to 2014 when the company, having suffered through the same economic turmoil as the rest of the survey world, has become adept at controlling labor costs by reducing personnel from more than 20 to 11 permanent employees. Xynides cites the evolution of field surveying from DC Johnson’s perspective. 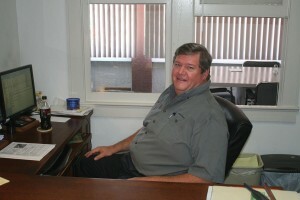 The most seasoned professionals, he says, have traditionally been found working in the field, surveyors who would then pass their knowledge and techniques on to others in the field. 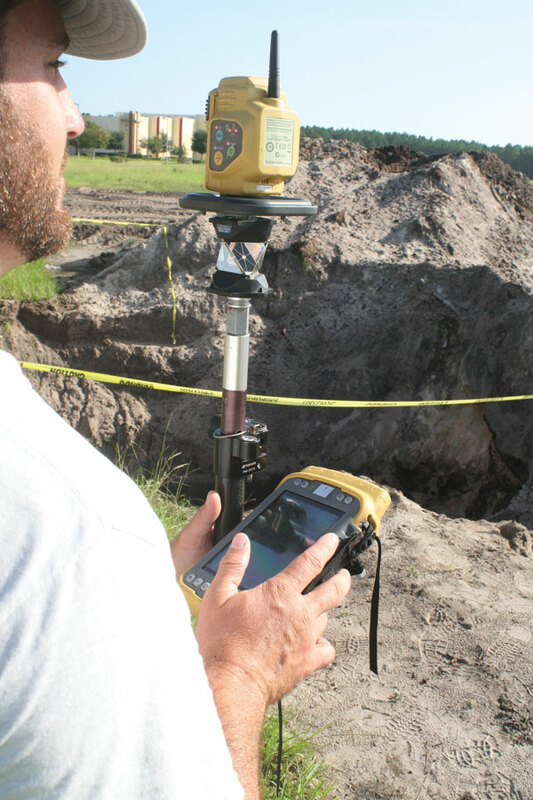 As the pace of surveyors’ work has increased, however, there simply hasn’t been time to pass on that depth of survey knowledge to the field staff. DC Johnson company president, Chris Xynides. To improve the flow of information from the field to the office, DC Johnson started enhancing communication through use of photos, field notes, stepped-up cell phone calls, etc. Those efforts helped but proved cumbersome, and the data still wasn’t making it to the “right eyes” until the end of that business day or the next morning, plus it sometimes took an additional full day for evaluation. That initial demo proved impressive enough that DC Johnson arranged for use of a Hybrid Positioning-capable Topcon PS-103 robotic total station, a Tesla field controller, and the MAGNET Field and Office software. After one month of putting both hardware and software through the paces, Xynides made the purchase, along with a subscription to Lengemann’s L-Net GPS network, and has never looked back. By comparison, using cloud-based software, the DC Johnson crew uploaded their data to the cloud, and then personnel in the office downloaded it and made their evaluation while the crew was completing other work. By subscribing to L-Net, Lengemann Corp.’s Florida-based GPS network, company officials estimate they are saving at least half an hour a day in setup time alone. That uptick in efficiency has also resulted in DC Johnson re-thinking the way they assign crews for specific projects. Although they’ve gradually gone from four-man crews to three-man crews and now to just two men, they won’t go down to one. This, he added, is where their newfound hybrid positioning capability has proven so successful. Not only does it allow them to work when line of sight is an issue—which he feels is a great function—but it allows them to essentially break out into a GPS crew and a robotic crew. “In addition to the MAGNET Enterprise software, our purchase from Lengemann this year included two Topcon hybrid PS-103s, a HiPer SR GNSS receiver, and three of their Teslas,” said Xynides. “And we’re considering purchasing a fourth Tesla which will allow us to have two full setups—GPS, robotics and two Teslas—per truck.